Are you an adventurous traveler? Did you watch The Amazing Race? Would you like to meet new people on a mountain peak? Does lounging around the pool all day seem a little boring? Can you leave your phone behind? Can you slip out of your comfort zone? 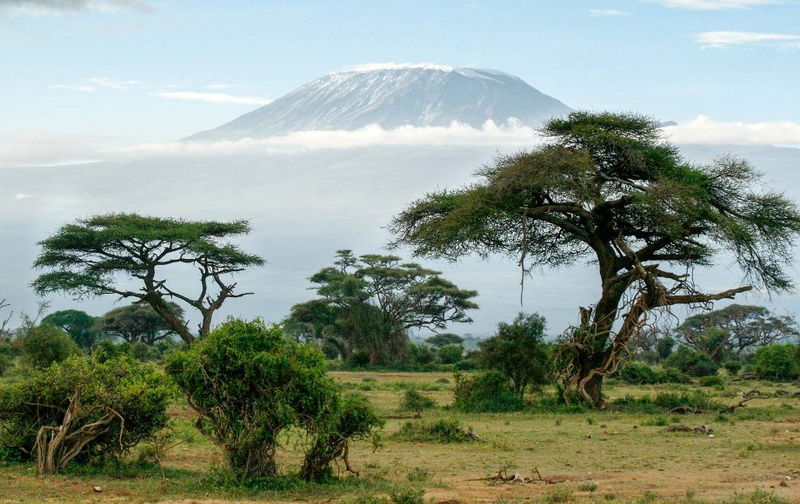 A climb of Kilimanjaro. This mountain peaks out at just over 19,000 feet. It does not require any special climbing gear. Porters will carry your gear for you for a truly African experience. Zion National Park in Utah. There are many options to make this a soft adventure or a challenging one. 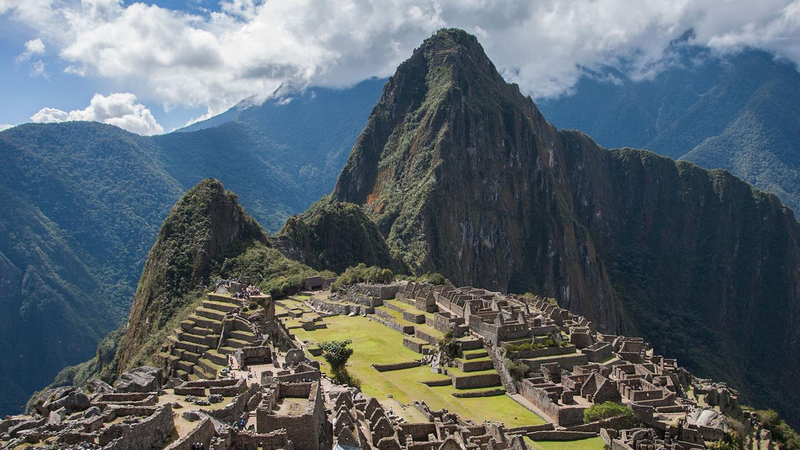 Machu Picchu is a 15th-century Inca citadel, located in the Eastern Cordillera of southern Peru. There is a wonderful one-week hike on the Inca Trail or for a softer adventure, there is a train that will take you there. With a network of global travel experts that have personally experienced the best in travel, we'll curate experiences and journeys tailored to your unique globetrotting personality. When asked why we're passionate about travel, our answer is easy: Because travel is a catalyst for connection. Given today's increasingly fast-paced digital world, the need for authentic connection may be at an all-time high. When we travel and experience new destinations and cultures, we are inevitably changed. Perspectives shift and compassion and curiosity is piqued. And, perhaps of top note, travel is fun! We all have an adventurous side -- whether it's defined by outdoor pursuits in remote locales, or foodie and cultural immersion in urban hot spots. We aim to deliver every whim on your travel wish list while also ensuring peace of mind. 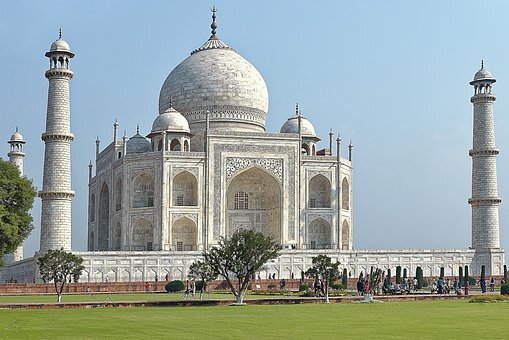 If your goal is to visit Antarctica or Austin; Thailand or the Taj Mahal, our travel professionals are ready to assist you fulfill your dream. We think outside the box so your travel blueprint is constantly fine-tuned and your fun meter is maxed out. We look forward to serving you by phone, internet or face-to-face. Star Clippers offers sophisticated travelers the ultimate vacation alternative - a tall ship genuine sailing experience aboard authentic re-creations of the classic clipper ships that ruled the waves during the 19th century. 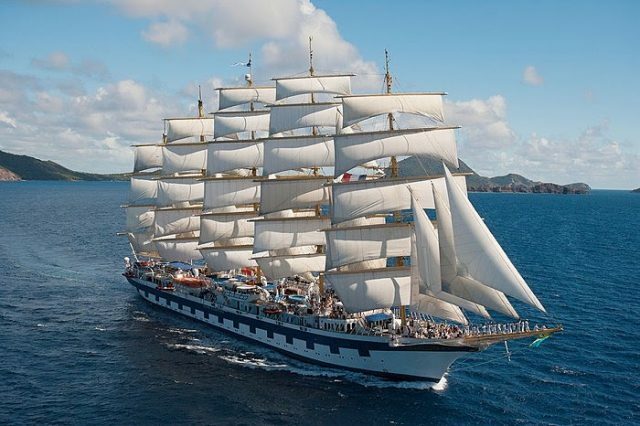 Star Clippers operates three of the world’s largest and tallest sailing vessels, the Royal Clipper, Star Clipper and Star Flyer, and in late 2018 a fourth brand-new clipper ship will join the fleet--the Flying Clipper. These majestic ships visit quaint ports often untouched by larger cruise ships, and offer guests the activities, amenities and atmosphere of a private yacht. The ships are under full wind power and sail as much as possible. Glorious masts and billowing sails make it clear from the start that you are embarking on a special voyage. During the winter and spring months, the Royal Clipper and Star Flyer sail throughout the tropical Caribbean and Panama Canal. The ships reposition to the Mediterranean for the summer and fall seasons, sailing breathtaking itineraries to the Eastern and Western Med. Star Clipper will spend November through April in exotic Thailand, Malaysia and Singapore, followed by journeys from the forested volcanic island of Bali, sailing throughout Indonesia in Summer 2018 from May to October. ​Where Can AmaMagna Take You? 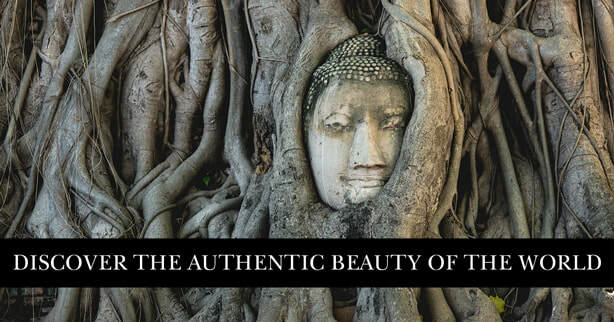 Only Silversea luxury cruises allows you to uncover sacred traditions and ancient cultures as never before. Hear the roar of the red dragon in China, find peace in land of the rising sun in Japan or picture yourself kayaking your way through Ha Long Bay; Asia is so much more than a sum of her parts. Question everything that has gone before, and prepare yourself for a very different Asia luxury cruise. Soulful, spiritual, fascinating and humble, see far more in the Far East with Silversea. You’d be forgiven for thinking that Belmond Hotel Caruso is suspended in a heavenly realm, somewhere between the sea and the sky. Set into the cliff edge, around 350m above sea level over tiered groves of lemons and olive vines, it’s your private balcony over the Mediterranean. Sat on a limestone throne at the peaceful pinnacle of Ravello, Belmond Hotel Caruso gazes out over the Tyrrhenian Sea. The hotel was originally built in the 11th century by a wealthy family, shipwrecked on their journey to Constantinople. It was once called Palazzo d’Afflitto—the Palace of the Afflicted. Today, the name could not be further from the truth. Belmond Hotel Caruso boasts all the worldly luxuries anyone could desire. Vibrant frescoed salons play neighbour to stone vaults adorned with arches and chandeliers. Marbled hallways lead to rooms brimming with antiques and paintings by old masters. In each nook visitors will uncover a new and intriguing part of the hotel’s history. 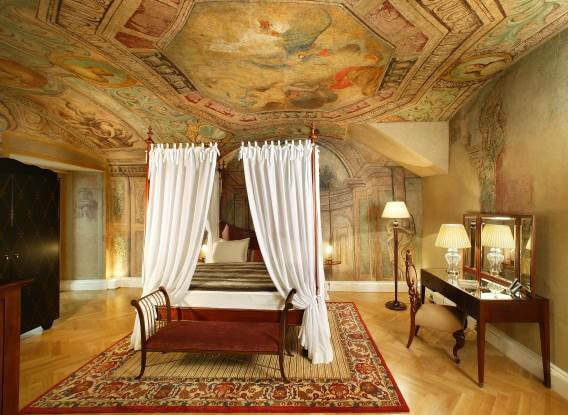 Inside, our 51 rooms have been lovingly restored to their ancient Neapolitan glory. Expect hand-crafted terracotta floors and Naples-yellow walls adorned with neo-classical antiques. Fresh flowers and stunning coastline vistas complete the experience. ​Join head gardener Gaetano and explore our verdant grounds, over 100 years in the making. Meander down the rose arbour to our infinity pool. Its an architectural triumph that seemingly extends straight into the ocean. Re-energise with one of our personal trainers; the panoramic sea view from our gym adds a nice distraction. Shopaholics, meanwhile, will enjoy our in-house boutique. Goods have all been hand-picked or exclusively designed for the hotel. Later, liberate mind, body and soul at our Wellness Centre. We recommend the signature ‘Ritual of Happiness’ treatment, complete with a foot bath, body exfoliation and alfresco massage. From Belmond Hotel Caruso, Ravello is yours to explore. Spend an afternoon wandering the lush lemon terraces. Perhaps find a bird’s eye view over the Amalfi Coast by helicopter. Take our traditional wooden boat, Ercole, to Positano, or drive to Roman Pompeii. Whatever your heart desires, our concierge will happily arrange. Come evening, chef Mimmo di Raffaele injects modern flair into traditional Italian dishes at Belvedere Restaurant. Each creation uses world-class local produce. What better way to cap off the night than at our atmospheric Cocktail and Piano Bar? With innovative cocktails, wines, champagne and local prosecco, it’s the destination of choice for Amalfi Coast nightlife. It’s testament to Belmond Hotel Caruso that when guests come to depart they have a tear in their eye. The only affliction here is ever having to leave our piece of paradise. 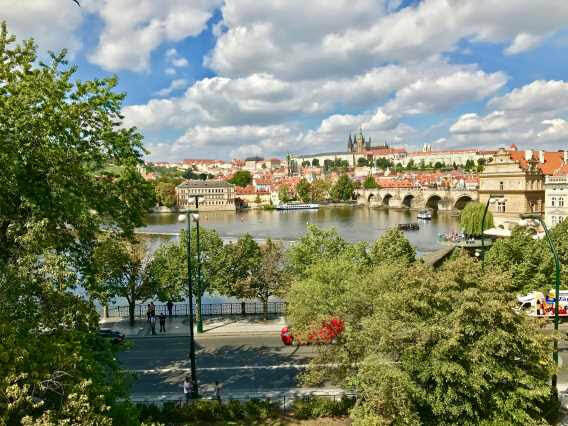 Please allow us to introduce our new addition, and our first property in the Czech Republic: Historical Smetana Hotel in Old Prague with the best views of Charles Bridge and Prague Castle a hotel can offer! 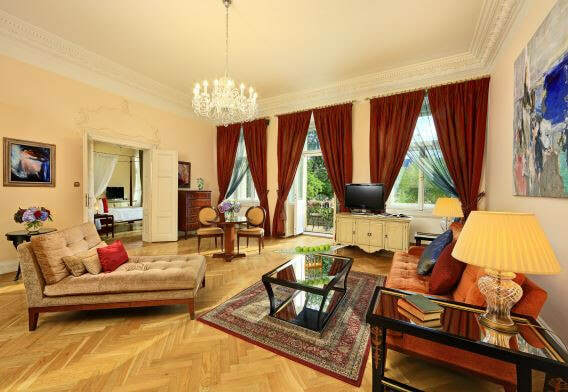 Smetana Hotel was the former Pachtuv Palace which hosted many famous personalities such as Wolfgang Amadeus Mozart, Ludwig Van Beethoven and Richard Wagner. In 2002 Pachtuv Palace underwent extensive re-habilitation to bring all its glory back to this unique landmark property. Re-branded as an Independent Luxury Boutique Hotel in 2015 the Pachtuv Palace hotel is now owned and operated by Ott family. The hotel is the perfect complement to a fairy-tale day out in the old town, with romantic touches including four-poster beds, flowers and stunning views and scenery. 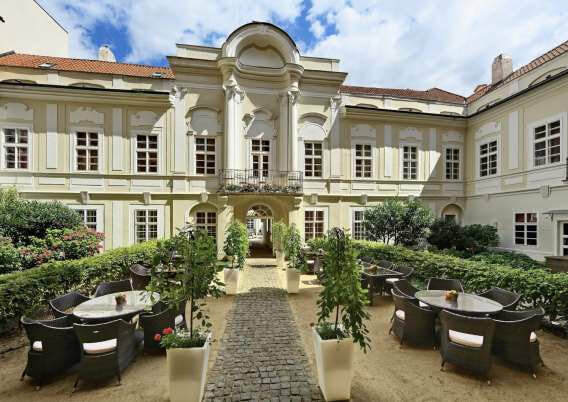 The spacious and individually-designed suites, many with a view of Prague Castle are perfect for honeymooners and romantics alike as well as for families enjoying the advantage of the Family Suites. Concierge: all the needs of guests can be achieved by the hotels concierge service. Hotel transport: the hotels private driver can drive guest everywhere they want to go. Tours and Sights: a selection of local guides are available to allow guests to discover the city. Sisley l’Institut: The only Sisley l’Institut in Prague. The famous French cosmetics company offers an array of richly sensuous textures to combine pleasure with effectiveness. Each Galenic formula is a concentrate born of experience, innovation, and creativity. Massages: guests have the possibility to have various kind of massages and they also have the possibility to have in-room massage. Skinjay Paris – Aroma Showers: Start your day with the energetic breeze of lime and peppermint and end it with the relaxing and intimating rose flavors.
. Restaurant Smetana: Great food comes from authentic and old-bohemian recipes. What sets the cuisine apart from the others? A diversity among all their cooks. Each comes from a different region of Czech Republic. This means that their homemade recipes differ. And so, they used this advantage to combine all of their gourmet experiences and discoveries during their childhood, to create the unique and authentic Restaurant Smetana menu.
. 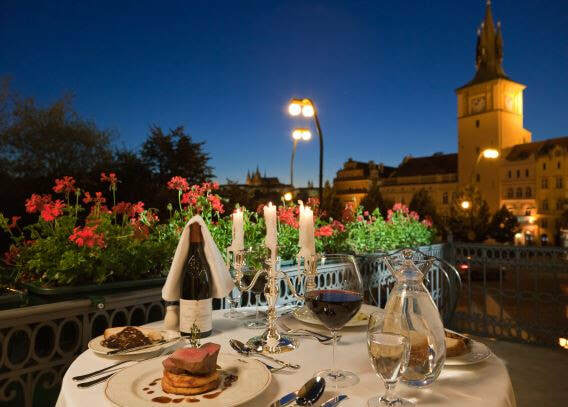 Bistro Bohemian Rhapsody Prague: a fine cuisine complimented by a truly picturesque view of the river bank. The bistro is for those that like the finer things in life. A popular meeting place in the heart of old town, the cafe serves a wide variety of gourmet dishes, classic breakfasts, (their eggs benedict is divine!) freshly baked goods and of course a wide selection of beverages. Bistro Bohemian Rhapsody Prague is proudly furnished by furniture from the famed hotel Lutetia in Paris, with the current bar being our center piece.
. Wines: Wine is their passion and they have worked hard to ensure that the wines that they keep within the cellars are the best possible. They offer a tremendous range of quality products, from casual table wines to rare and exquisite selections that are pleasure to come across. For reservations and additional information, contact us. It would be our pleasure to serve you. 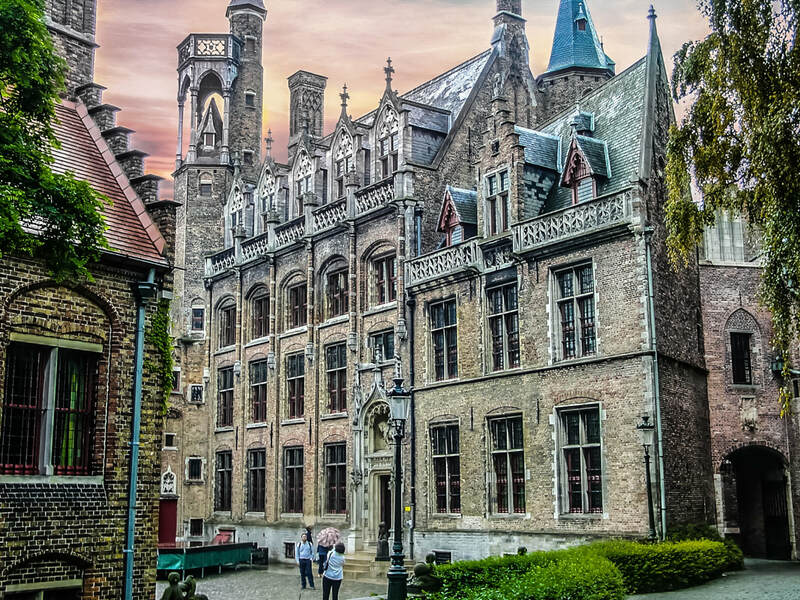 When you envision your vacation, you rarely imagine it in the rain, but a brief downpour during our walking tour of Bruges, Belgium, didn't dampen our spirits. We had just finished exploring the city's architectural and historical gems when our local guide handed out over-sized AmaWaterways umbrellas, pointing out cafes on the main shopping street where our small group could escape the rain. My husband and I stumbled into a cozy restaurant. Chatting with locals, we ordered what turned out to be the best mussels we had ever tasted – accompanied by Belgian beer, of course. Just as it was time to rejoin our group, the sun added a glimmer to the rooftops of the medieval buildings, cobblestone streets and winding canals that created the sensation of stepping into a fairy tale. It was an unexpectedly charming day, but also perfectly befitting our seamless, eight-day voyage with AmaWaterways – an ideal balance of complementary guided activities and free time to seek out local experiences, and we never had to worry about a single detail. Our 164-passenger ship sailed smoothly as we slept and docked close to city centers and villages waiting to be explored. 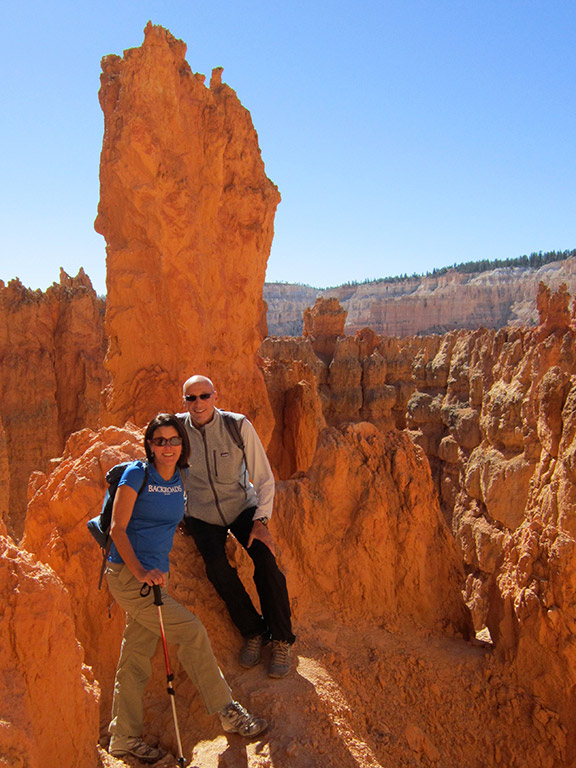 Though we gravitated toward active excursions, others expressed appreciation over small-group options that appealed to gentle walkers, as well as to “late-starters” who preferred to remain on board a little longer. For us, a true highlight was the 80-acre Keukenhof gardens in the western Netherlands, where we meandered through the gardens and pavilions with seven million tulips and hyacinths in bloom. We especially enjoyed having access to AmaWaterways, collection of two dozen bicycles, which we used to traverse the historic Dutch town of Willemstad on our own. 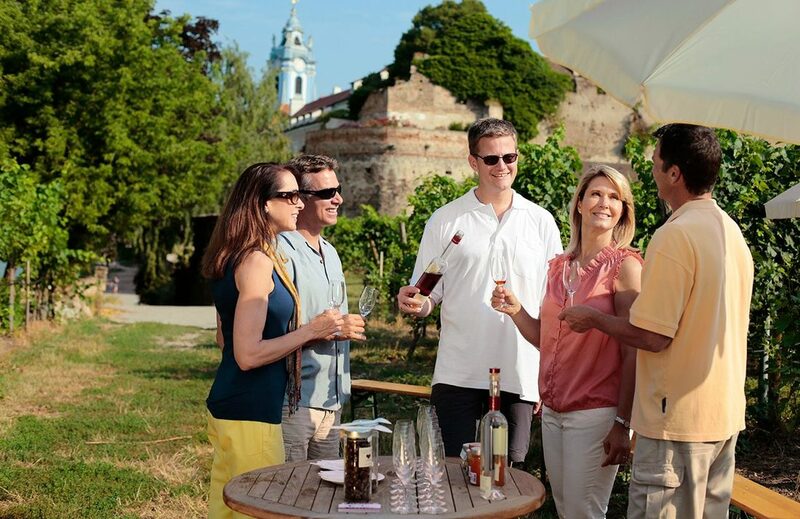 As we mingled with other guests, we heard tales of other enchanting European river cruise excursions, from strolling the sloping hills and cobblestone streets of Budapest on a Danube cruise to sipping crisp Alsatian wines in the French village of Colmar on a Rhine cruise. Indulgent bliss followed us back on board, where our chef made meals decadent and varied, and we could choose among multiple dining venues. At The Chef's Table restaurant, complimentary to guests, we watched the chef in dazzling action from our 24-seat table. He plated specialties such as marinated salmon accented with a lemon, pepper and mango salsa, followed by a perfectly grilled beef tenderloin and porcini potato, each course paired with an exquisite wine. We somehow manged to save room for a chocolate tart with a millefeuille of red currant and mascarpone. Personal touches and memorable moments extended throughout our trip. Before dinner each evening, Rolf, our multilingual cruise manager, briefed us on the history , culture and customs of upcoming destinations. We felt taken care of – by him, the well-trained crew and the knowledgeable local guides – all of whom not only met our needs but also anticipated them. At breakfast, I even teased one server that she was spoiling my husband by bringing him oatmeal already topped with brown sugar. Each evening, we retired to our twin-balconied stateroom that had all the amenities of a five-star hotel, including a marble bathroom with multijet shower-heads. 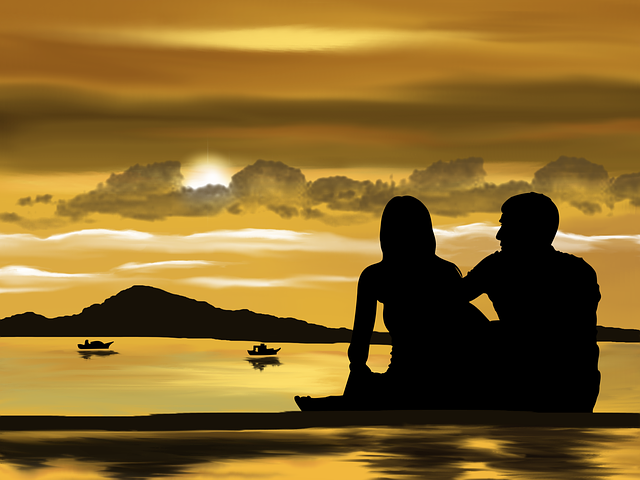 Passing up the television shows and movies on the high-tech infotainment system, my husband spent every night glued to the closed-circuit bow camera so he didn't miss any of the picturesque view on shore.